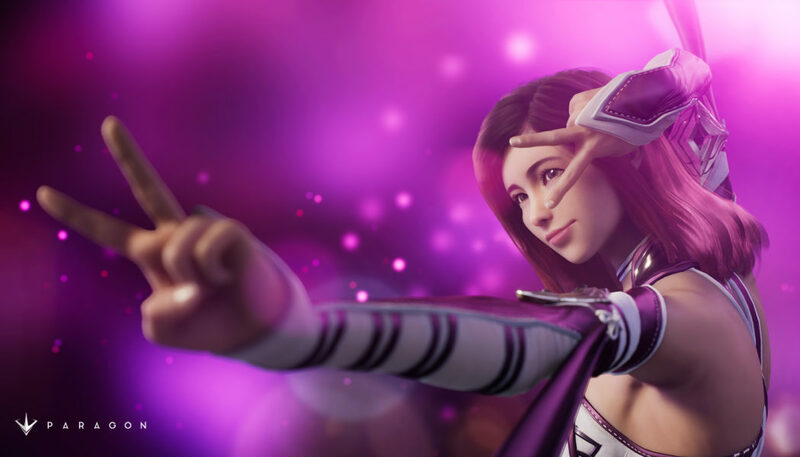 A world famous pop star known for summoning Spirit Wolves during her performances, Shinbi is a deceptive melee assassin who uses her wolves to dazzle her enemies and rip them to shreds in battle. Get your first look at the extraordinary pop star in the announcement video and get a closer look at her abilities with the ability overview video; a detailed list of her abilities can be found below. All-Kill! – Passive: All of Shinbi’s abilities apply +1 Spirit Wolf stack per hit to enemy Heroes, building up to eight stacks. Active: When activated a pack of Spirit Wolves attack the closest target with the highest number of Wolf stacks, sending one Wolf per stack. More information on Paragon can be found at paragon.com.